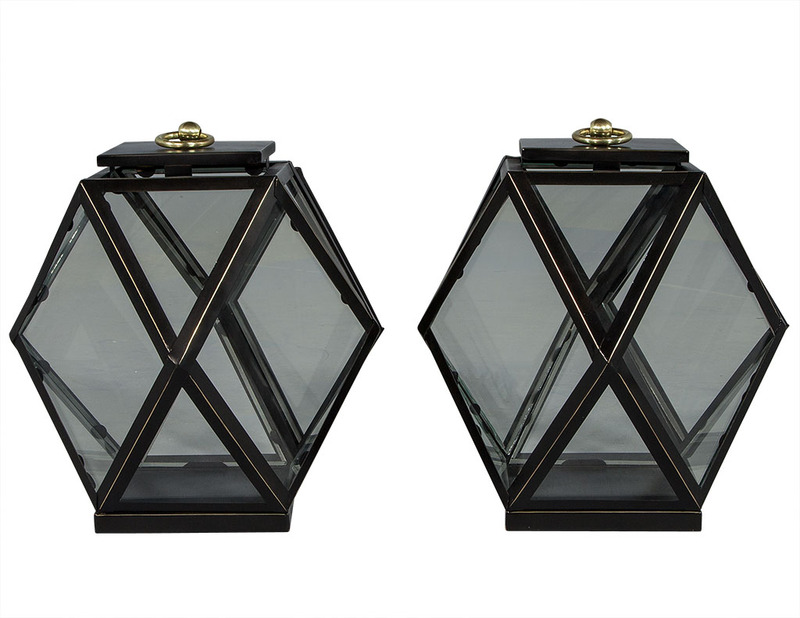 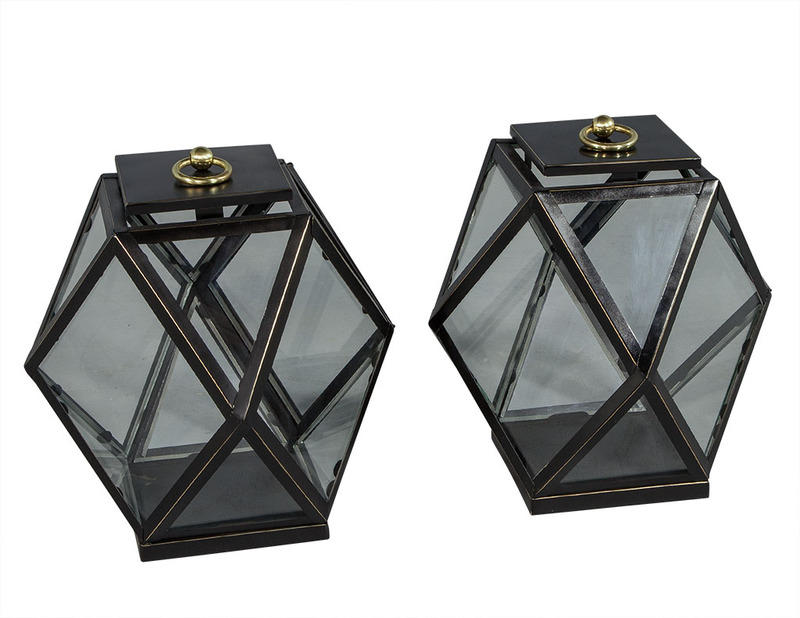 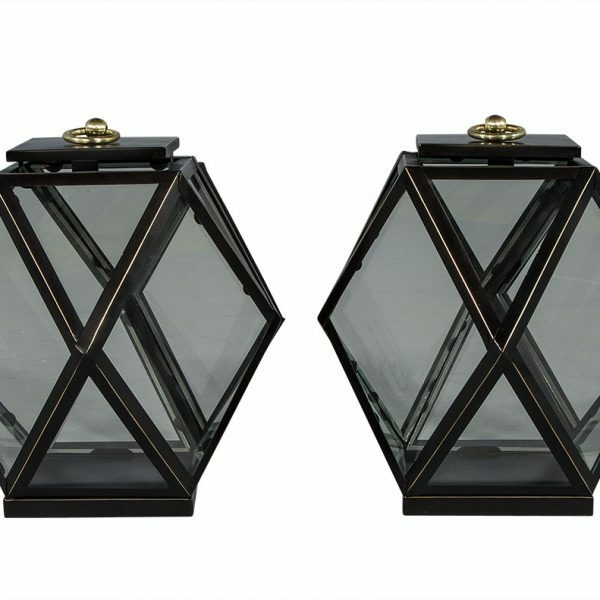 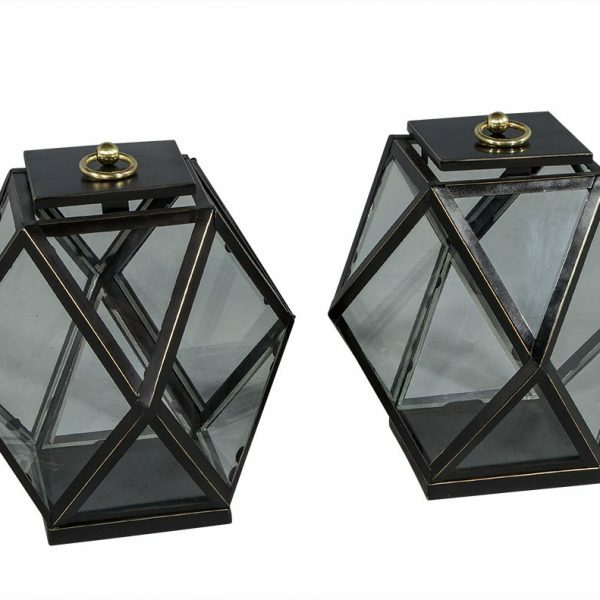 These hanging diamond lanterns are rustic and trendy. 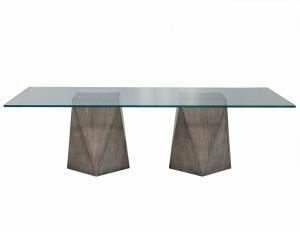 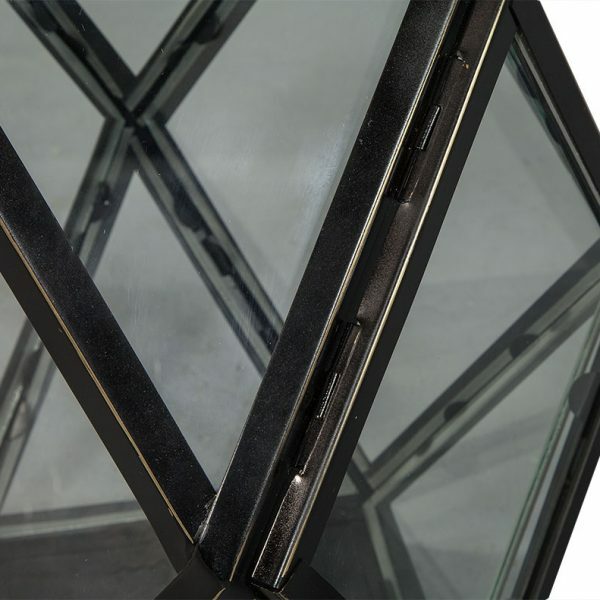 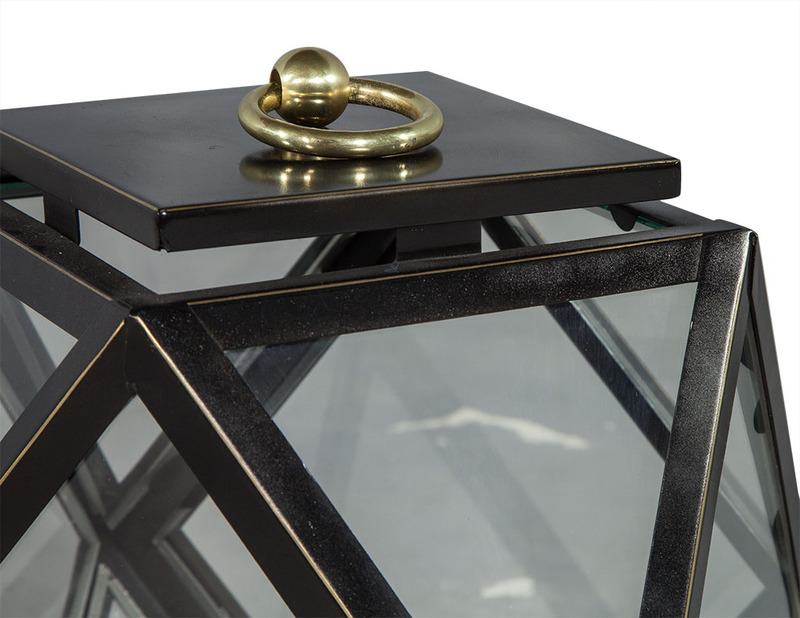 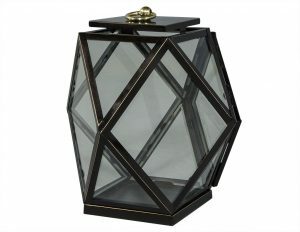 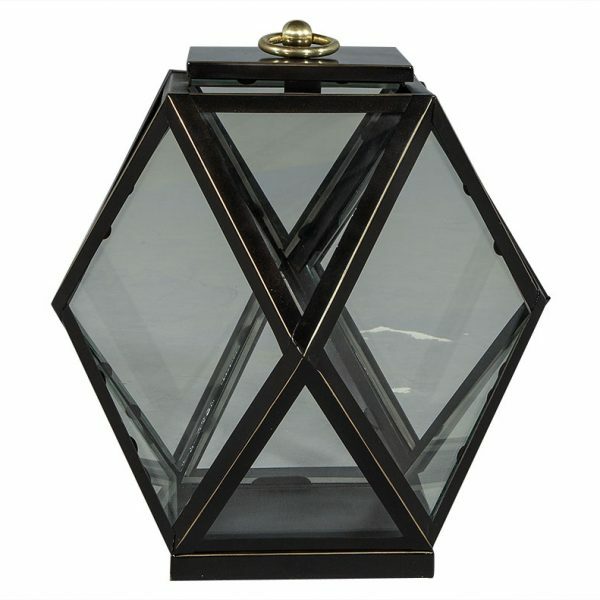 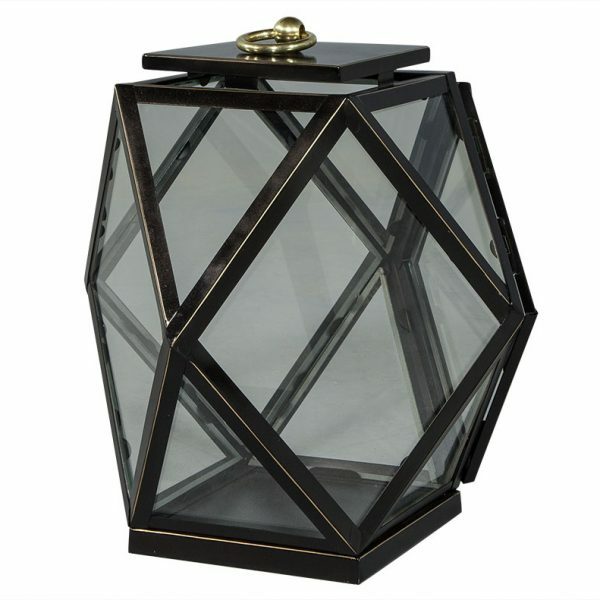 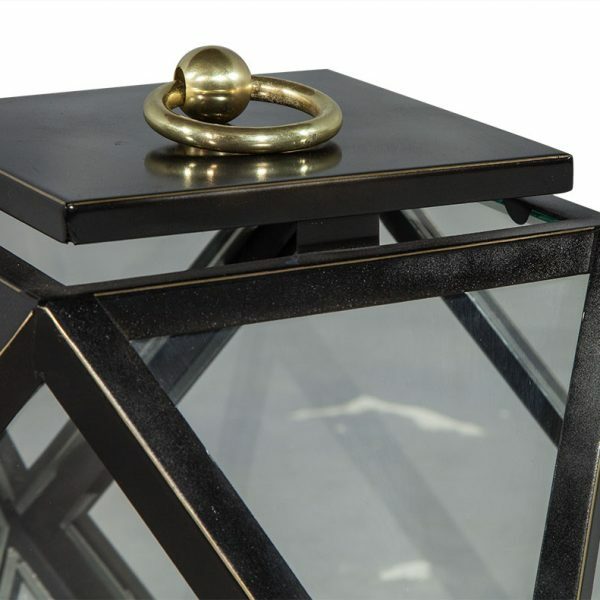 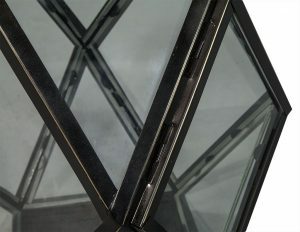 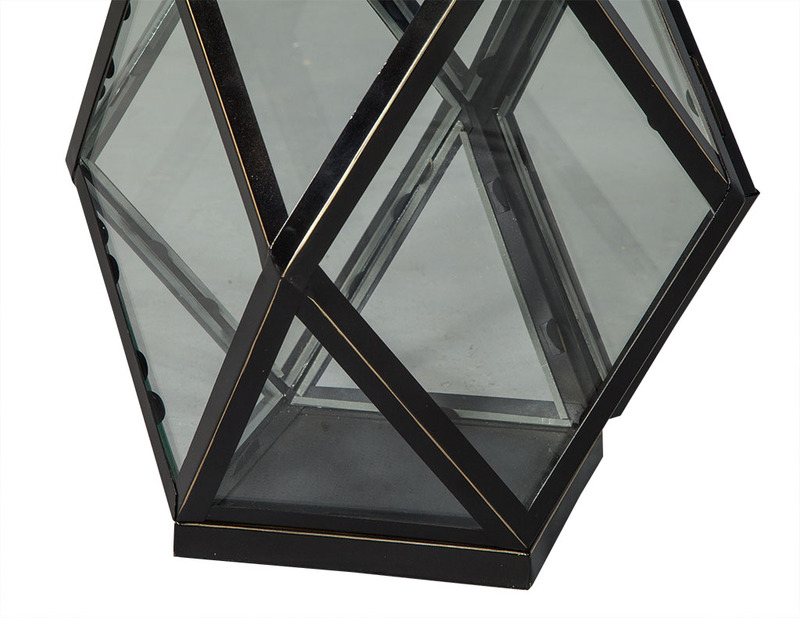 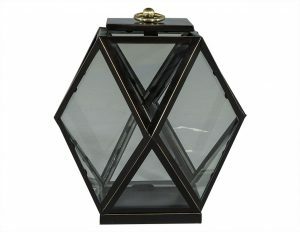 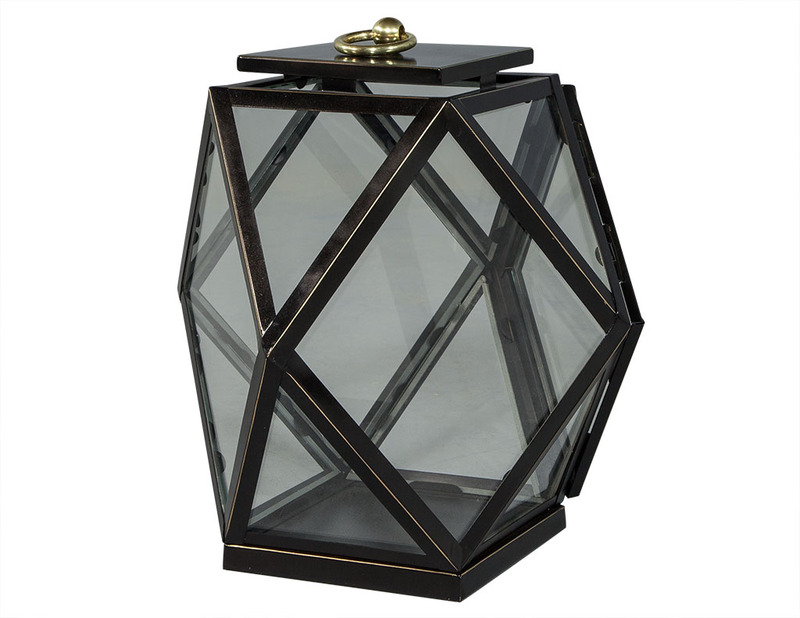 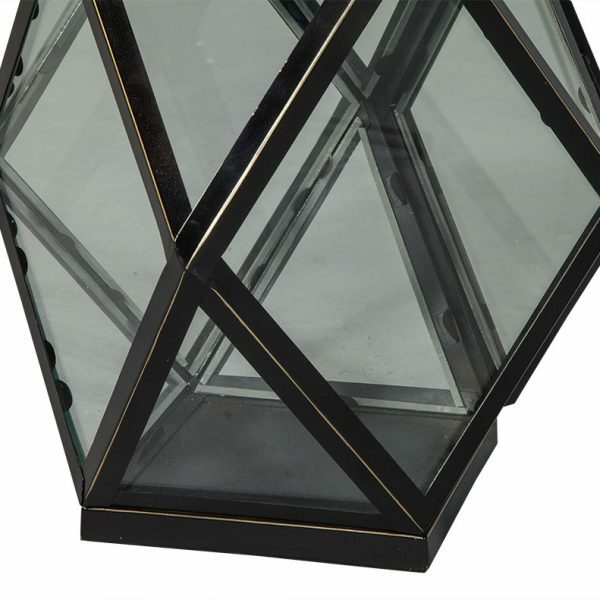 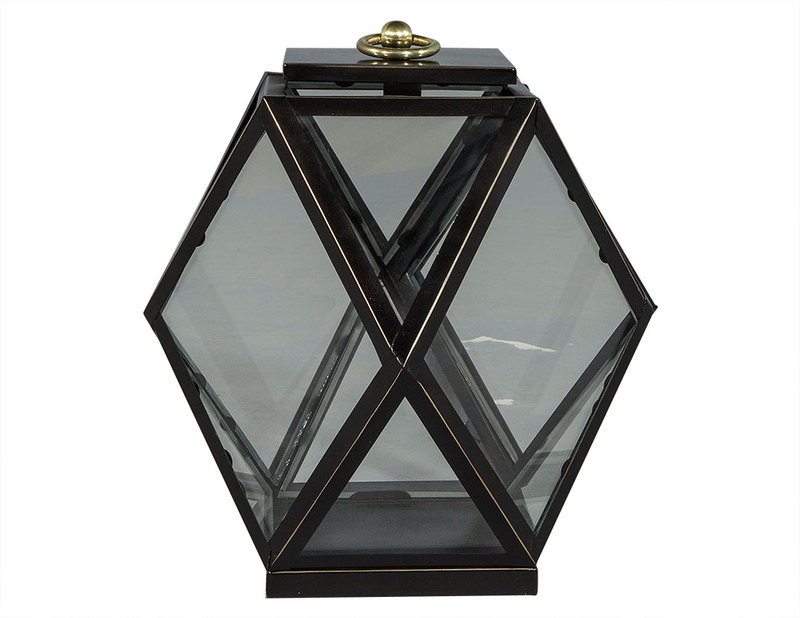 The diamond shaped frame is composed of black metal with glass panels and one opening door for easy access. 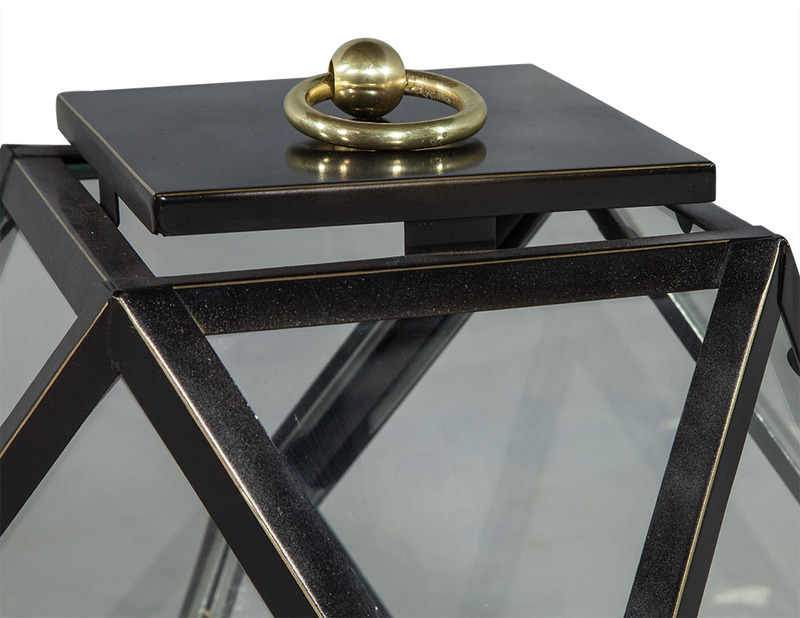 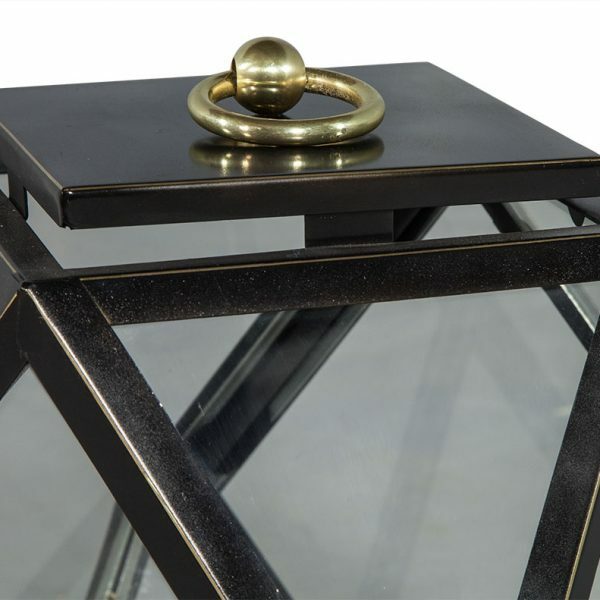 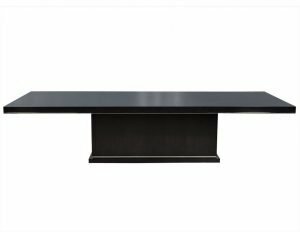 The solid top also features a polished brass ring for hanging making these pieces perfect for entertaining indoors or outdoors.